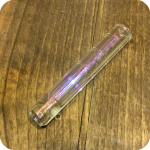 Check out this beautiful Iridescent Rainbow Clear Glass Bat. 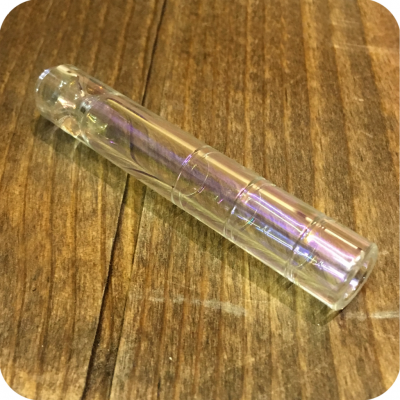 This piece is the perfect one hitter for all smokers looking for an easy to pack on the go piece. It is just about the size of a standard cigarette so it easily fits your purse, pocket, etc. 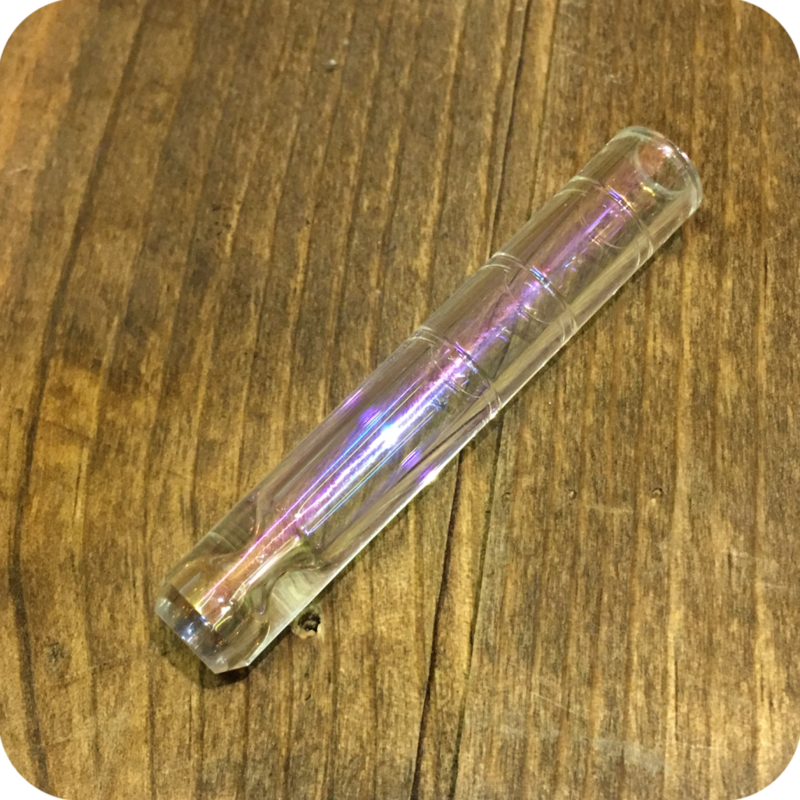 Although the length is about the same as most standard one-hitters, the width is larger. So you can expect to get a better, bigger hit from this piece than most. It is totally see through with a hint of rainbow for a touch of psychedelia. 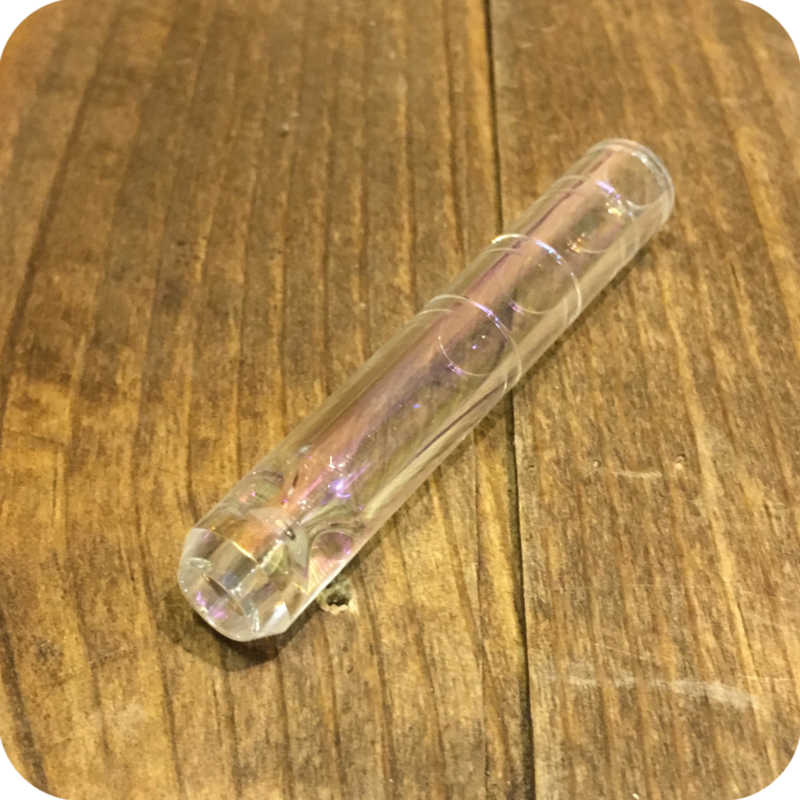 The clearness of this piece makes it really easy to see what your doing while you clean, which is a huge advantage. To clean, put the piece in a ziploc bag with some salt and isopropyl alcohol and thoroughly shake. Finish the job by running a pipe cleaner through the mouthpiece of the one hitter and it should be good as new! While your here, do not forget to pick up some hempwick. Hempwick is a healthy alternative to directly lighting your product with a butane. This is how you avoid inhaling the nasty fumes that come from butane. 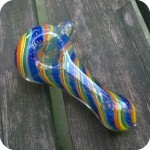 Just wrap the hempwick tightly around your Bic lighter, grab your rainbow glass bat and your ready to smoke on the run! Finally, do not forget to swing by either one of our three Brooklyn store locations to see what else to offer! We are located at 12 Wilson Ave, 518 Grand Street, 377 Metropolitan Ave. 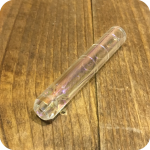 Tags: bat, clear glass bat, glass bat, iridescent, one-hitter.